Are you a passionate diver? Do you dream of taking the adventurous and challenging first step to become a real dive professional? The Arizona Dive Shop is offering divemaster internships for qualified and self motivated divers looking to take the next step in their diving career! Do you think you have what it takes to become a PADI professional? Do you wish to be part of a professional PADI 5 star dive center? Do you want a FREE divemaster course and receive top quality training from experienced instructors? Hands-on education in a fun atmosphere. Huge discounts on specialties, dive equipment and more!!! As a PADI Divemaster, you become a pro member of PADI (Professional Association of Diving Instructors). PADI Pro members are divemasters, assistant instructors, open water instructors and all upwards to the course directors. Professional means your dream have come true, turning your scuba diving from a hobby to something you do for a living. Hence, becoming a divemaster can be considered real vocational training but also a lot of fun! As a divemaster internship trainee you will learn what is important for you work in recreational scuba diving, such as guiding fun dives with certified divers, assisting instructors in scuba courses and learn how to take people in to diving that never have been scuba diving before or help certified divers who havent been in the water for a while to fresh up their skills. During your divemaster internship you will learn a wide range of various skills in and outside the water you need to be well versed in. You will learn everything about dive set up and management, dive briefings, how to map a dive sites, search and recovery scenarios as well as emergency scenarios. 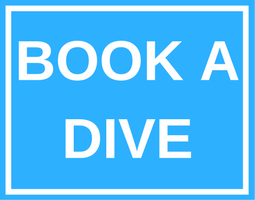 You will lead divers in a controlled environment supervised by your instructor and you will assist on a number of PADI courses. Thus, you will need to learn how to demonstrate scuba diving skills (such as clearing a mask, recover your regulator, etc.) on a professional level. Professional means, you are doing it slowly but make it look easy and effortless to your students. The idea is that you will learn to demonstrate skills to such a good standard during your divemaster course, that you will be ready to enroll in a PADI instructor development course (IDC), should you choose to do so. Rescue Diver certification and absolute minimum of 40 logged dives is required to start with the divemaster course. How ever, if you are not certified as a Rescue Diver yet, you can do all required courses at an interesting rate with Arizona Dive Shop. Required Specialties are Enriched Air NITROX Diver, Wreck Diver and Deep Diver for the diving in Subic Bay. Also these you can accomplish after you arrival prior or during your divemaster training at a discounted rate. We accept friendly, motivated, outdoorsy and fun water-lovers with respect for nature. The minimum age is 18 years. It is also important to be in moderate to good physical shape. As you are transforming to become a dive professional it is highly recommended that you acquire your own full set of diving equipment. If you don’t have it yet you might want to buy it during your training, when you get more idea about the best Options. You will also be able to buy your own gear from Arizona Dive shop at a reduced price! 4 Months minimum from the day starting your divemaster course. It will take you approx one month as a divemaster trainee and you will work as a divemaster for three months after your certification. Staff the dive shop; guest check-in, sign up clients for activities and assist with their retail purchases. Assist in the preparation of the dive boats, loading tanks and setting up guests equipment as well as end of day shut down activities. Help gearing up customers with diving equipment. Assist our staff with divers, students and other Interns in their programs. Help with the overall customer flow and safety of guest divers. Whats included in the FREE divemaster internship? Are You Ready to Start an Exciting Career as a Dive Instructor? If you’re a passionate diver and dream of taking the adventurous and challenging first step to become a real dive professional then lets get started working towards that goal today.